“The Federation for Choral Music in Singapore and ACE 99 are proud to present the ‘Orientale Concentus IV’,” says the speaker. We are in Taiwan, to be exact in Taichung, for the ‘Orientale Concentus IV’ International Choral Festival. Outside is the hot and humid weather characteristic of July in Taiwan. These are perfect climate conditions for the cultivation of pineapple: it enjoys high temperatures and has excellent drought resistant properties and locations where the temperature varies throughout the year. The pineapple was introduced to Taiwan long ago and during the 19th Century became a common fruit throughout the island. 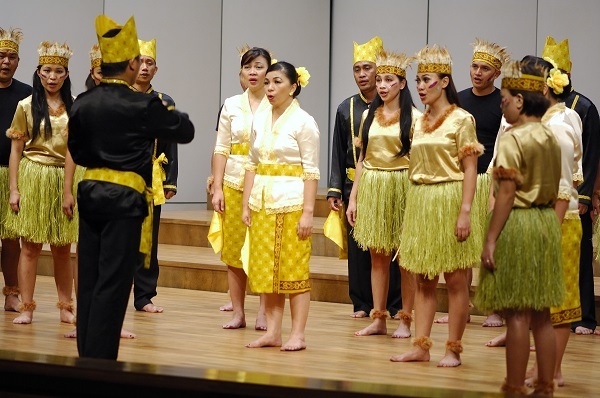 “The festival has welcomed participants from various parts of South-East Asia, as well as Taiwan, China and South Korea”, continues the speaker, while the groups are preparing for their performance. 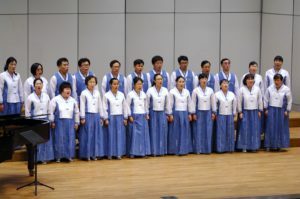 The audience, waiting in silence, is curious to listen to the repertoire of each choir. The Competition takes place in a beautiful theatre surrounded by gardens and tropical flowers. On the stage the competition continues with its medley of voices, arrangements, colors. At the end, the adjudicators Nelson Kwei, Andrea Angelini and Yu-Chung (Johnny) Ku selected the following winners: Temasek Primary School (Singapore) for the children’s choirs category, Minahasa Regency Choir (Indonesia) for the folklore and mixed categories, Raphael Chorus (South Korea) for the chamber choirs category, and Dali High School Choir (Taiwan) for the mixed youth choirs category. 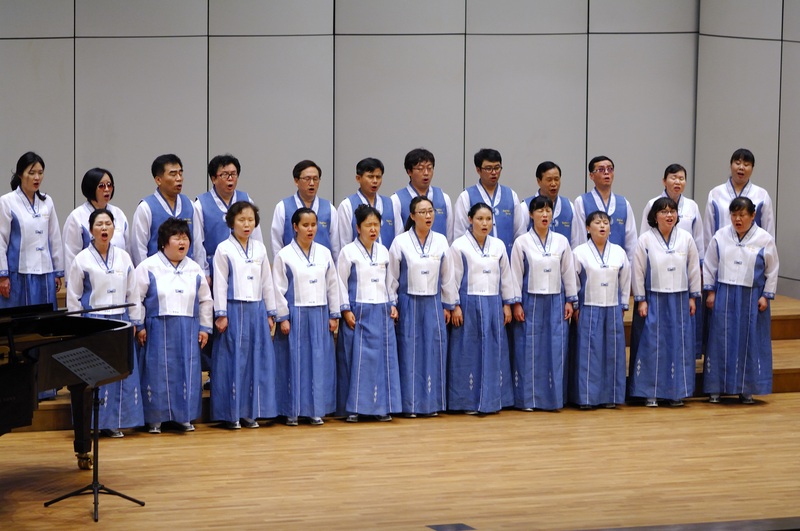 “It is my sincerest desire that every single participant should take home cherished memories and continue to pursue excellence in choral arts”: these are the words of Dr Nelson Kwei, Artistic Director, during the closing ceremony of the festival. The competition venue is Taichung, the third largest city in Taiwan, with a population of just over 2.6 million people. During Taiwan’s long history, prehistoric people, indigenous people, Dutch, Spanish, Japanese, and Han Chinese have successively populated Taiwan, creating a varied culture and developing different local customs and traditions along the way. When visiting Taiwan, you will be able to come into contact with all aspects of this country’s multifaceted culture. You can find this variety also in the cuisine: Taiwan has so many different facets, and, moreover, these have increased and become more marked with the rise in local awareness. This diversity of cuisines numbers eight main categories: Holo or simply Taiwanese, Hakka, and vegetarian foods, as well as the various cooking styles with long histories from the length and breadth of mainland China. These include northern style, Hunan, Jiangzhe (from the provinces of Jiangsu and Zhejiang), Hong Kong (Cantonese), and Sichuan. In general, therefore, it can be said that Taiwan’s varied cuisine shows ethnic, geographic, economic, and other cultural influences. And we must not forget the delicious tea! The beauty of Taiwan tea resides in the flavour, with aesthetic standards set by the clearness of its colouring, the purity of its taste, and the elegance of its aroma. Whether it is baozhong tea, dongding tea, pengfeng tea, tieguanyin tea, dragon well tea, or black tea, each type has its own unique characteristics. I can personally guarantee this as I never drank so much tea in my life before going to Taiwan!